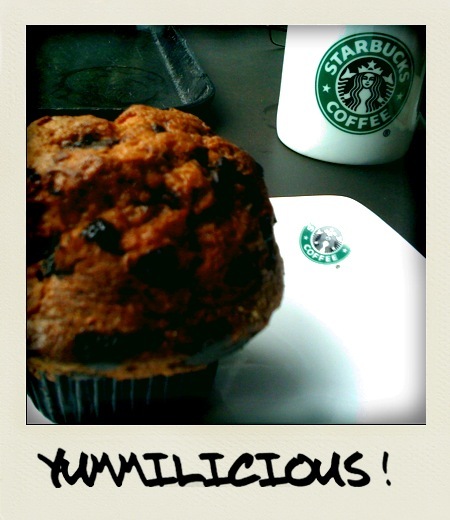 Am I getting desperate to fulfil my craving for the long absence of chocolate muffins in my snack list or is it the simple fact that the chocolate chip muffin from Starbucks is simply heavenly? The muffin was nicely warmed up in the microwave prior to serving and every bite was so tenderly moist, chocolately yet light with just the right tinge of sweetness. There's that 'Umph' factor in every mouthful and I literally licked the plate and fork clean!